KANEOHE, OAHU (HawaiiNewsNow) - Honolulu police are investigating a near head-on collision involving two vehicles on Kahekili Highway just before 5 a.m. Friday. Emergency Medical Services officials say two 18-year-old men were taken to the Queen's Medical Center in serious condition as well as a 76-year-old man also listed in serious condition. Police say the 18-year-old driver and passenger were headed town bound in a Mercedes sedan. 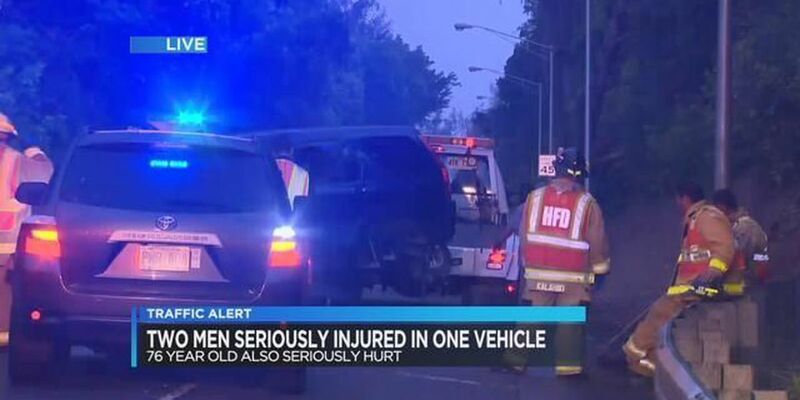 Officers say, for some reason, the driver swerved into oncoming Kahuku-bound traffic and sideswiped the other car, a SUV driven by the 76-year-old man, nearly head-on. Police are investigating whether or not drugs and alcohol where factors in the crash. The road had been contraflowed for the morning commute but has since been reopened to traffic.